Just like cars have their elite model, the bicycle has its own elite model. Cruiser bikes are not thought about in most parts. You don’t hear many people talking about them as much as mountain or road bikes. 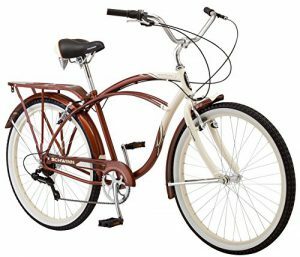 But cruiser bikes are smooth and built with style and grace. We are going to talk about them briefly in this post. 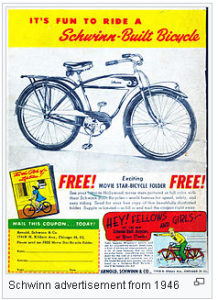 In the WW2 era, there was a company called the Mead Cycle Co. which was one of the most famous bike companies in the world. They had manufacturing facilities in England and a Chicago based company that sold through mail order. They may be responsible for the cruiser bike term being used. There were other brand names like Ranger, Pathfinder, and Crusader. Of the three, the Crusader “Cruiser” was the high-end model of that time. The low-end model was the Crusader “Chaser”. They even had names for the female versions which was the Crusader “Clipper” & the Crusader “Cutter”. All of these names were a cruise bike business campaign. 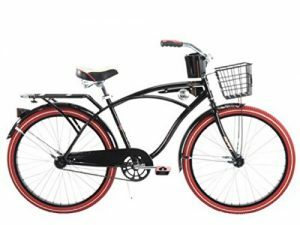 Cruiser bikes were the term used for Moto-Bikes which focuses on the frame style of that of a motorcycle. 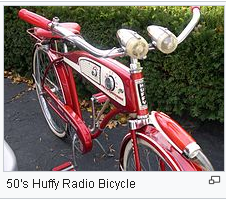 These bikes were popular in the 30’s and 40’s and were built heavy weighing up to 50 lbs. And then in the 50’s & 60’s the English Racers came along and they became less popular. Then in the 70’s the bikes with derailleurs hit the scene and then the speed bikes controlled the market. Today’s cruiser bikes are the smooth machines. They are used to cruise around on in style. They are built for comfort style and affordability. We could say the low rider of bikes sort of speak in my opinion. They are also called beach cruisers as well. Which really fits them. Ranging from single speed, 7-speed to electric. Click on each one to get more info on that particular bike. 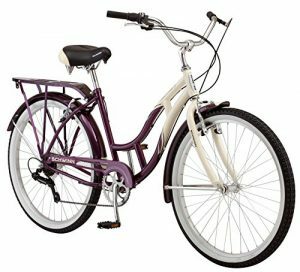 These are some of your present-day cruiser bikes. 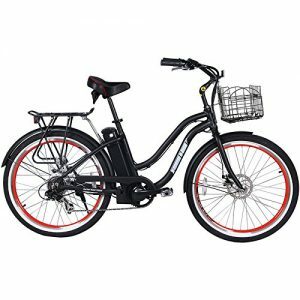 They are much more affordable than the other models and are used to cruise around the neighborhood, on bike paths, beaches, and just plain fun joy riding. As you can see they thought about adults and children designing these bikes. 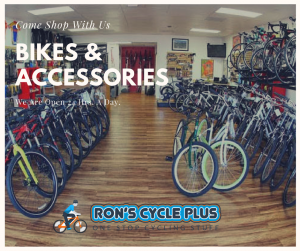 I want to thank you for visiting us and you can feel free to browse through Ron’s Cycle Plus an Amazon-powered store for all your biking needs. Just click the logo below. Feel free to leave any questions or comments in the comments section below. 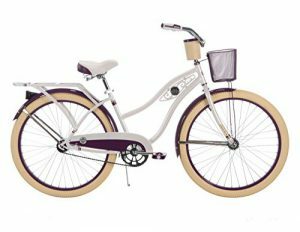 We would love to hear what you think about today’s cruiser bikes. Hi there and thanks for the info. 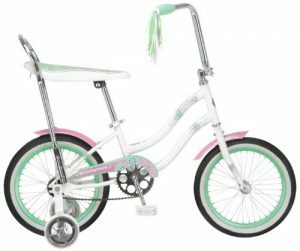 I would never have though that a Chopper style bike (chopper handlebars) would be a cruiser. I always found them to be uncomfortable to ride and hard to control, just me though. The bikes are cheaper than I thought too, so thanks for informing me of that. 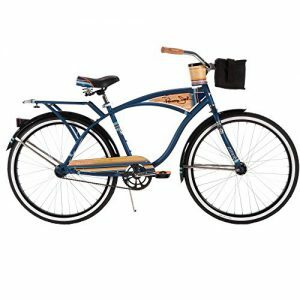 Is it better to buy online or from a local bike shop? I am asking because of the future service you would get from the bike shop if u need. Anyways that is just what I think. Would appreciate your inputs on it. Thanks in advance for your reply. Well, it really does not matter where you buy it from unless you have a concern about the assembly. If you by it online and have a problem you can always take it to your local bike shop and have them help you there. A bike shop will also be able to fit you for a bike instead of you guessing what bike would work for you. If you have been dealing with bikes recently buying online is not a bad way to go. But if you have any concerns about the few things I mentioned then you might want to go to your local bike shop. I hope that helped. Oh my! I never knew bikes had so many different types of names. 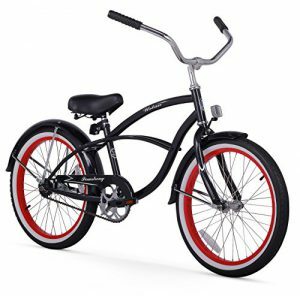 I do see Cruiser bikes around. 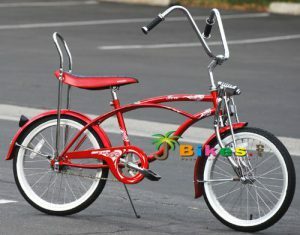 I myself do not own any type of bike but, I have always liked the Cruiser bikes. I agree with you they do ride really smooth and they are easy to ride. 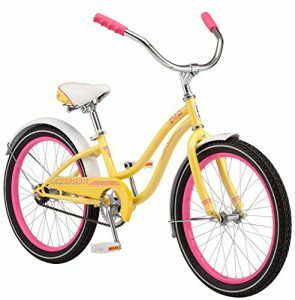 I remember growing up my mom had one of these bikes, I am not sure what the name was but, we use to always as kids say, the bike was so huge but, apparently they never went out of style and people really enjoyed them. After trying one myself I can see why. Yes, they are the Cadillac of bikes. You just basically cruise around on them and enjoy the area you are riding in. I see a lot of couples where I live riding on bike paths just chill riding. I think it is great. 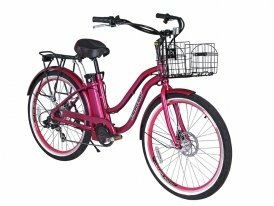 I’m really interested in getting a cruiser bike for day trips and as you say, chill riding. 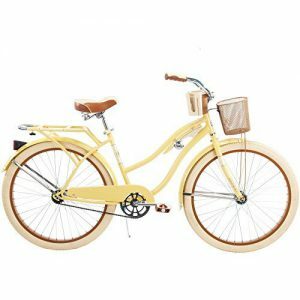 These types of bikes seem perfect for me and my husband who are now empty nesters and we’re exploring a bit of the country. I’m glad to know that these bikes are cheaper. I’ve been looking at mountain bikes and for the amount of time we would use them, it just doesn’t seem to be for our lifestyle. So glad I ran into your site. Will bookmark it! Thanks, I am glad to help out. Have you guys looked into tandem bike riding? I think you might enjoy that as well. Click Here to have a quick study on it. It is great for couples who like riding around together. This is a very cool looking bike. If I owned one I wouldn’t even ride it I’d let it hang on a wall as a collector’s piece. And a lot of people do exactly that with the older models. There are some pretty cool newer ones also. I see them getting more in numbers also here in Vienna. They do look very fancy. Love em. Thank you. That is funny how they are more popular in some areas than others. I guess that is what led me to write an article on it in an attempt to broaden the knowledge of them. Great bike review, reminds me of when I was a kid. I rode a lot of bikes of different kinds. We would ride them on the road and didn’t have to worry about traffic too much. Nowadays if you get out and ride bicycles you could get run over. I really like the bikes you have here. Thank you, Fred. I ride on the road all the time here in Oklahoma. It is a lot more traffic than when we were kids but if you make sure you ride with as many safety features as you can it is not so bad. I am lit up like a Christmas tree when the daylight starts going away. I am glad the bikes were attractive to you.